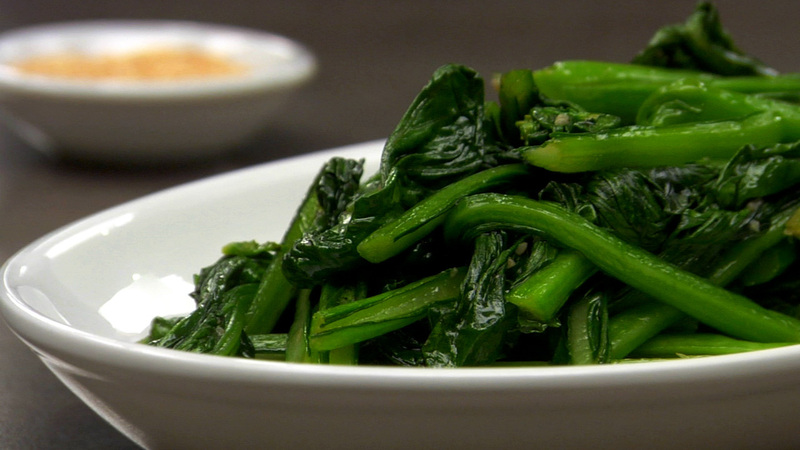 Trim the ends of the Chinese broccoli. Wash and spin dry. If the stalks are thicker than about 1/2" -inch, split them down the middle lengthwise. 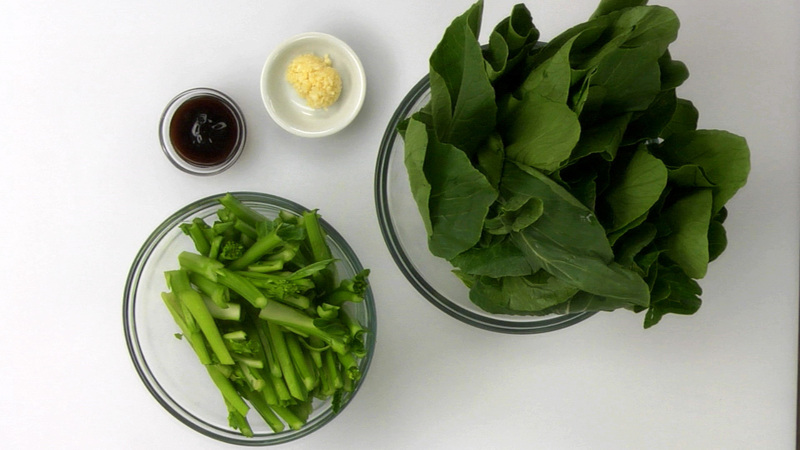 Cut the stalks and leaves into 2" -inch pieces (place the stalks and the leaves into separate mise en place bowls). Set aside. Smash the ginger slices and garlic cloves to slightly break up. Mix the rice wine and soy sauce together. Gather the granulated sugar and salt. Set everything aside. To stir-fry the dish, line the ingredients up in the proper cooking order. Heat a wok over high heat. Once hot, cook the stir-fry according to the basic steps in the lesson. 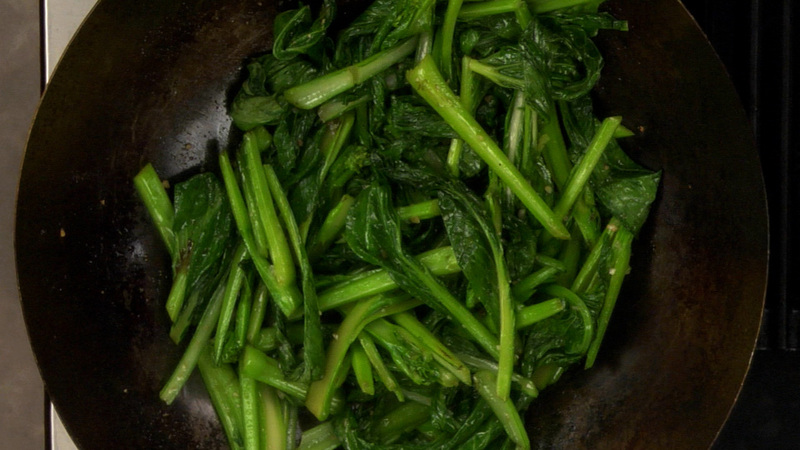 Stir-fry ginger and garlic for about 10 seconds — add the stalks — add the leaves — rice wine & soy sauce mixture — season with sugar and salt and stir-fry just until tender but crisp. Serve immediately.